Canada is home to many talented hands, meaning that there are hundreds and hundreds of exquisite pieces created every years. If you are looking to admire the creative talents of others, there are numerous different shows that you can visit. One of these is the Lignum Vitae: The Tree of Life. This is an event that is held by the Southern Alberta Institute of Technology. Here, the works of woodworkers will be on display. This includes beautifully created pieces such as instruments, furniture, carvings, and much more. Many of these are also for sale, allowing attendees to make purchases. The other display that you can visit is the Made of Wood Show. This invites artists from all over Canada to showcase their work. If you have something that you would like to exhibit, you may be able to do so as well. The event held is divided into two sections. The first is a competition-based show where winners are decided by a panel of jurors. The second is merely an exhibition where woodworkers can show off their latest pieces to attendees. Woodworking is something that is constantly evolving changing. This is partially due to the changing machinery and technologies that are available. It is also to do with the constantly transforming trends of the industry. This means that there is always a great deal to learn about woodworking. You can mingle with your peers from all over the country and learn a thing or two while you are it. One of the most well-known places to do this is the Hamilton Wood Show. The Hamilton Wood Show comprises of many different elements. It essentially contains everything a woodworker enthusiast could possibly hope for. You will be able to find the latest in tools and equipment. You will also be able to attend seminars and be instructed on how you can improve your current woodworking skills. This show covers everything from decorative woodworking to furniture making. If you run a business that deals predominantly with woodworking, then you are going to need to stay on top of the events in the industry. A great way to do this is to head to various expos and exhibitions that are hosted by reigning companies and vendors. This will give you a chance to not only pick up on current trends but will also give you a better scope of the woodworking sector as a whole. One of the biggest events in the industry is the Woodworking Machinery and Supply Expo. It is held in Toronto every year. 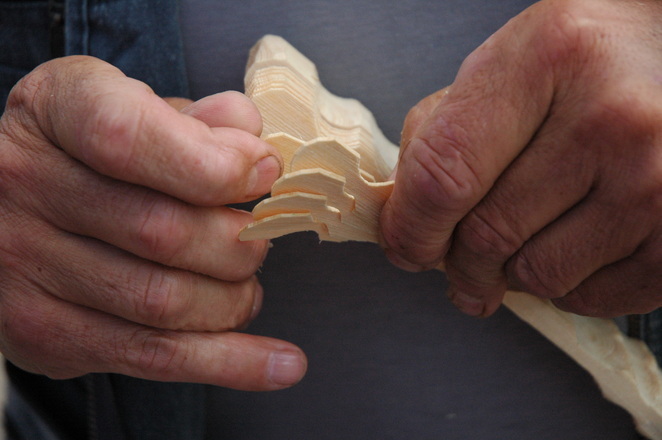 It is home to largest gathering of all things concerning woodworking. You will be able to meet up with some of the biggest names in regards to both tools as well as materials. This is not all, however. There is also a conference held alongside the expo. Here, the future techniques of woodworking are discussed. There are also plenty of educational talks about woodworkers can improve their methods and businesses. Furthermore, there are physical demonstrations that take place throughout this show. Both speak as well as the exhibitors instruct woodworking professionals on how modern technology can be best used to receive optimal results. For those in Quebec, there is a similar exhibition being held. It is called Canada Woodworking East. It deals with all aspects concerning woodworking and hosts exhibitions for imaginable topic. As a bonus, the conference is one of the few bilingual exhibitions around. There are many different exhibitions, shows, and events for individuals interested in woodworking. Regardless of your skill level or proficiency, you will be able to find an event that fits you perfectly. In addition to the entertainment factor, you will also find opportunities to improve your abilities. This site was made possible by the generous donation of Jason Castlewood from Debtconlidation-loans. To read more click here.